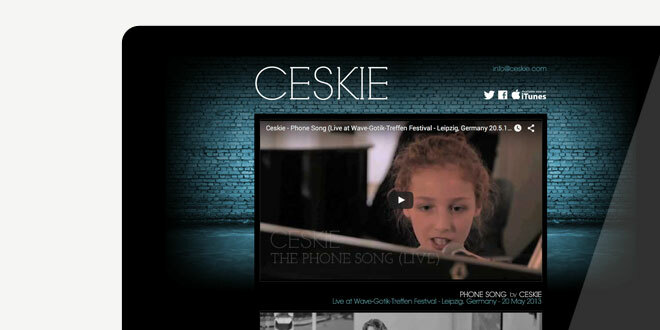 Ceskie is a jazz and classical singer/songwriter playing violin, classical piano, drums and acoustic guitar. Our brief was to create a logo and website for her by researching her style of music and creating a brand. Ceskie’s music has a distinctive style and sound which helped us when thinking about what the logo needed to look like. The Music website design was very dark and moody and to compliment her red hair, we chose turquoise as a starting point to the colour palette. We then began looking at typefaces to match. 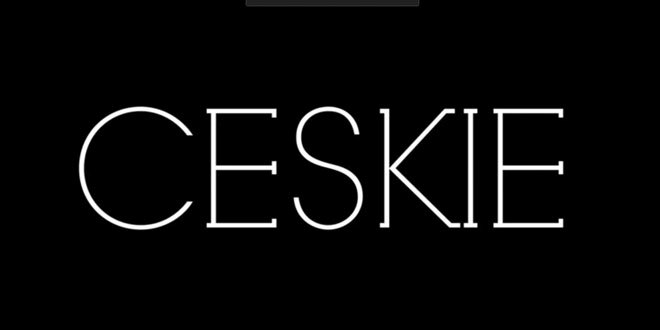 To match Ceskie’s style and sound, we chose a distinct typeface that is a unique and modern take on a serif font. 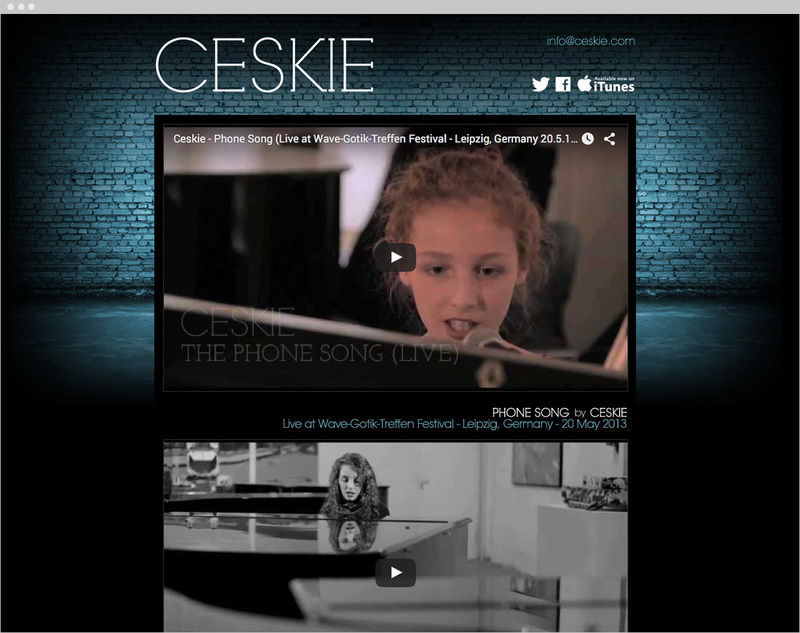 The WordPress website showcases Ceskie’s YouTube videos “Goodbye To You” a live session and “Popular” which was played on the BBC’s Radio programme, emerging artists. The DJs couldn’t have been more complimentary about Ceskie. 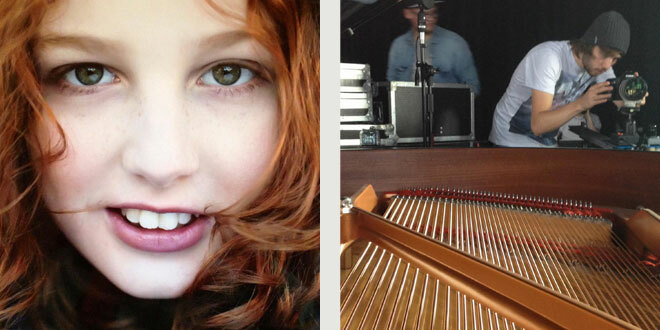 They called her an exciting new artist, stating that her music is amazing and urged their listeners to check her out. The website also has the ability to link through to iTunes to purchase and download her songs.